I arrived in Denver late on the afternoon of June 24th, 2015. I had to work the next day, so I didn't have a whole lot of time. 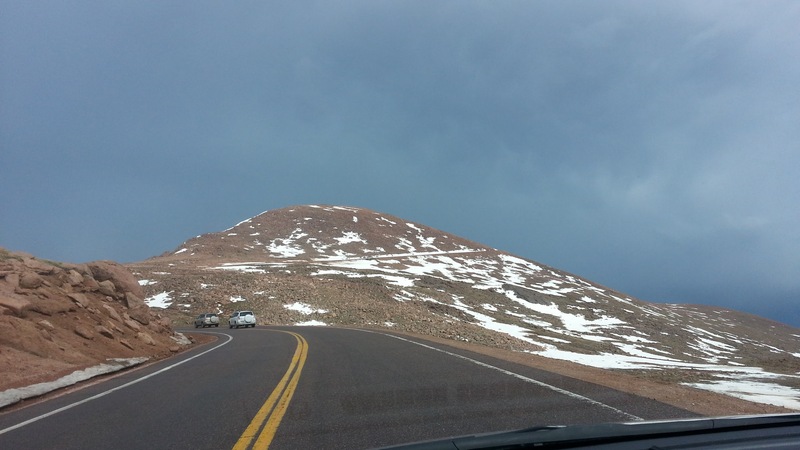 On Mike Kintgen's recommendation, I decided to drive to Pikes Peak for an evening of exploration. Arriving at the base station that exists at about 11,000 ft above sea level (asl), I found the mountain road to the peak just re-opening after a late afternoon rain/snowstorm. After a short wait, I was allowed to proceed up the hill. Here's what I saw. 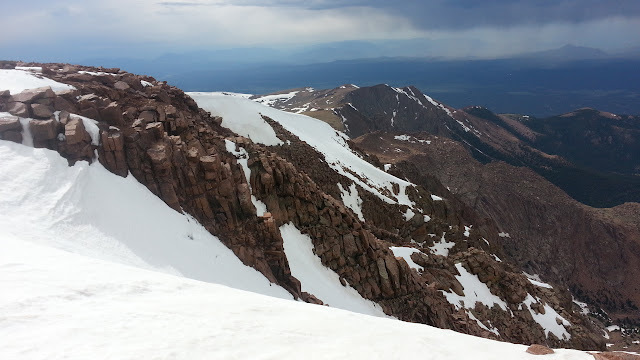 At the summit, there were still vast snowfields - particularly on North-facing slopes. 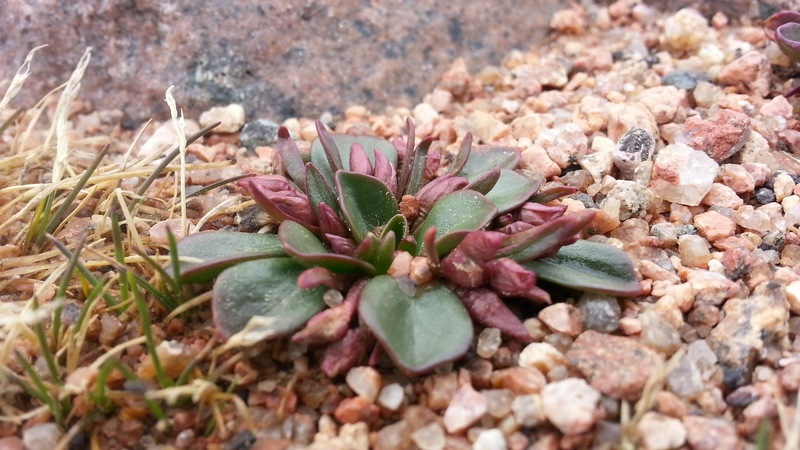 In areas free of snow, Claytonia megarhiza was going to flower soon, but was probably a week or ten days away. 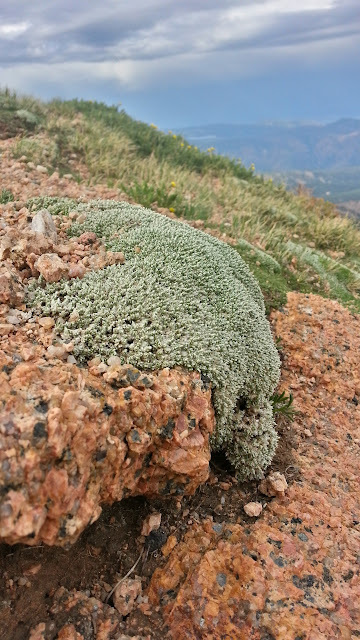 This is very plentiful at the summit, which is at over 14,000ft elevation! Step away from the tourist amenities, out onto the tundra. 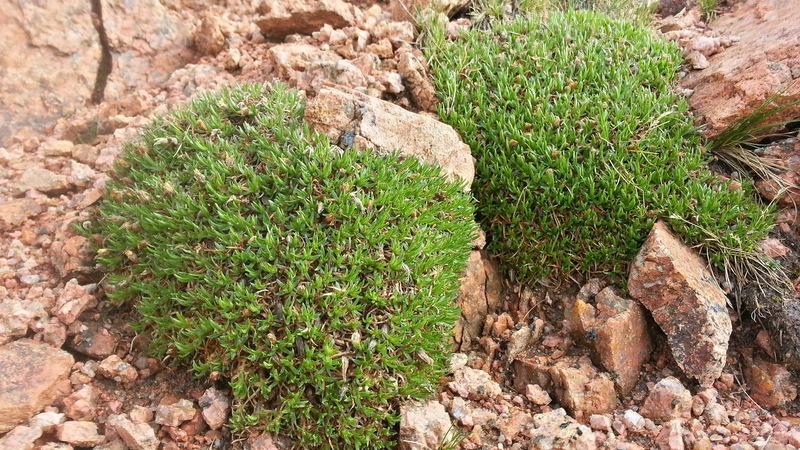 This plant will be everywhere underfoot. Thlaspi montanum was also plentiful, and just starting to bloom. As I drove back downhill from the summit, I stopped at perhaps 13,000 feet asl and immediately stumbled upon Paronychia pulvinata. This is literally 50 feet from the road. 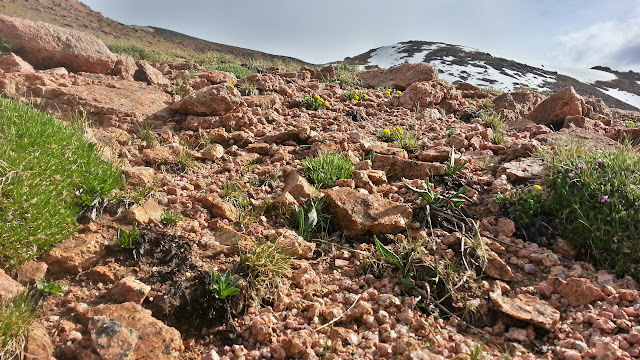 Silene acaulis was still a ways away from blooming, which is a shame. Still a neat cushion though. 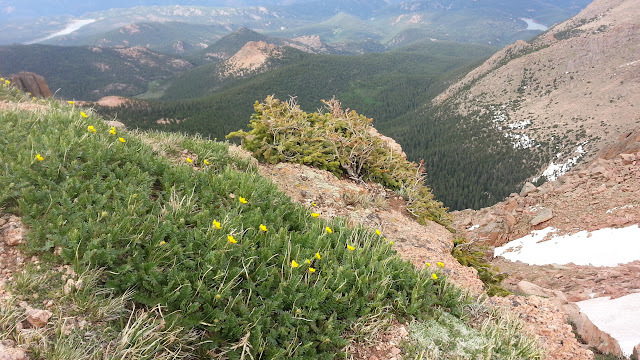 Geum rossii blooming at about 13,000 ft asl. 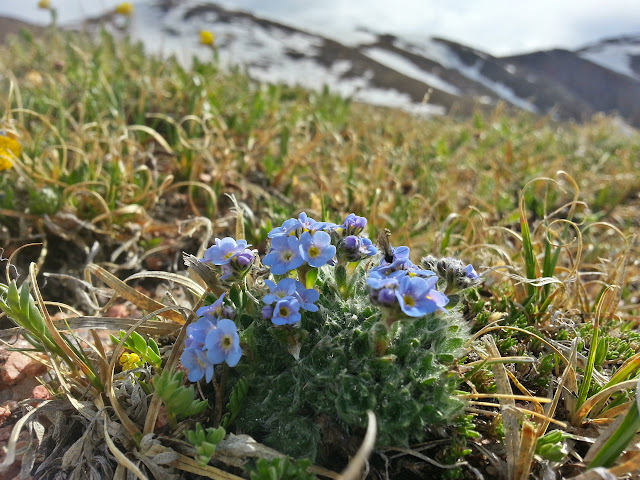 An otherworldly tundra landscape circa 12,500 ft asl. 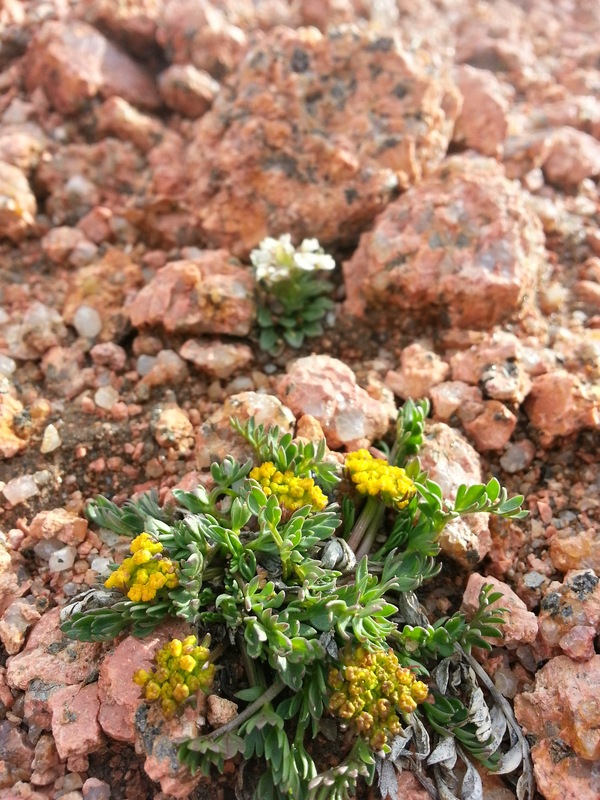 Colorado endemic Oreoxis humilis at about 12,500 ft asl. This is really easy to find just above and below treeline. 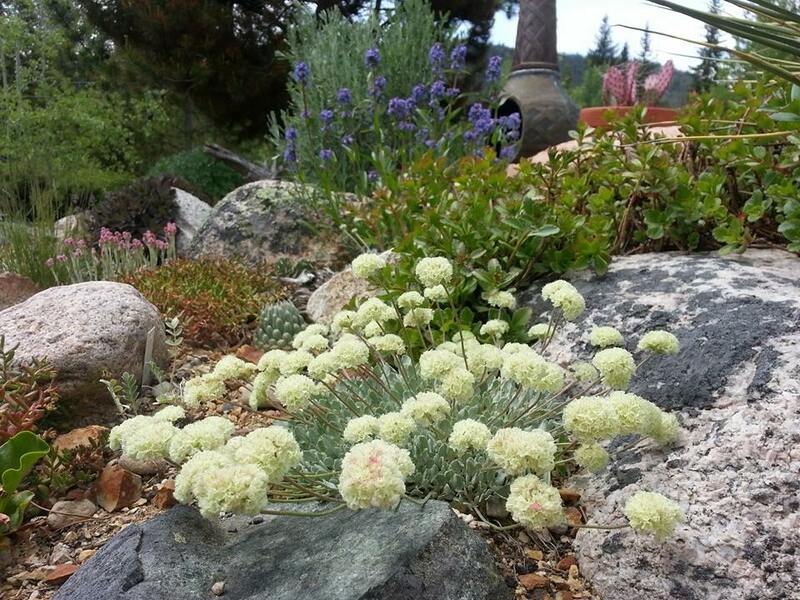 Interesting plant - looks like a tiny Lomatium. Same family. 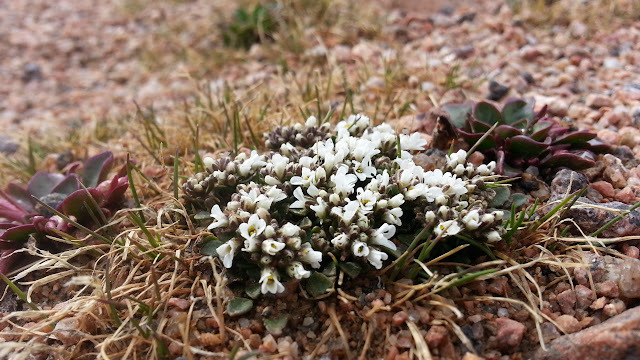 Ah yes, I definitely came to see Erytrichium nanum, which was in bloom just above treeline at 12,500 ft asl or so. More Erytrichium nanum. 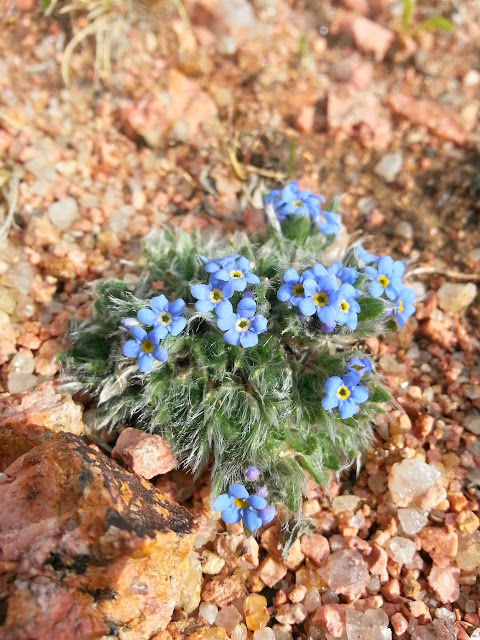 I will never forget seeing one of the classic, definitive alpine plants. 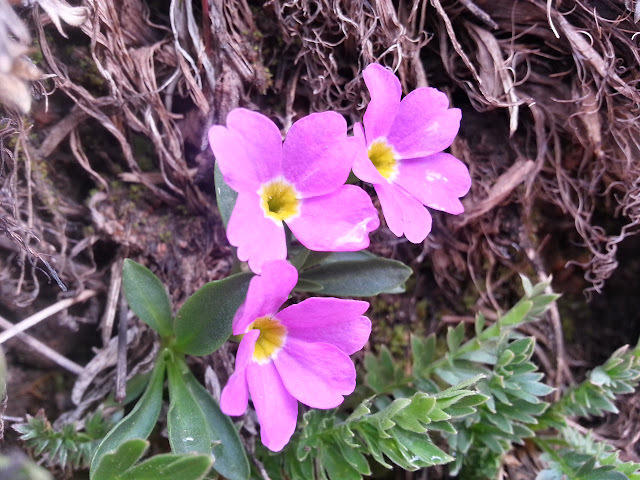 Primula angustifolia among Erytrichium nanum, Oreoxis humilis, Silene acaulis, etc. Just a wonderland. Well I already can't wait to go back, but I figure the first or second week of July is probably optimum. 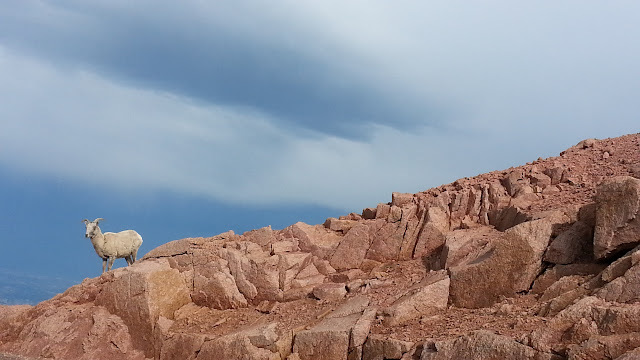 Stay tuned for "Pikes Peak, Colorado: Below the Treeline"